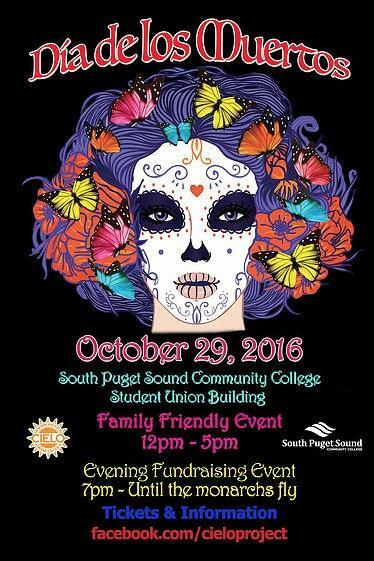 Family Friendly Event: Face painting, Art, Folkloric dance performance and more! Entry to family event will be by donation of your choice (per family or individual). Evening Fundraising Event: Folkloric dance performance, traditional food, beer, music, art auction and more! From 7pm - Until the Monarchs Fly. Donations from this event will support educational programs for CIELO Project Programs. Thank you for supporting our community.